Would you feel safe being protected by the soft, loveable Hello Kitty? 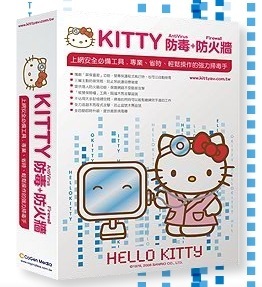 Straight from the shores of China, comes this Hello Kitty Antivirus software. 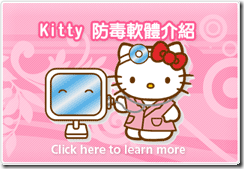 Sorry, unless you can read Chinese, you wont be seeing this installed on your computer anytime soon. The software comes with Antivirus protection as well as a built in Firewall. The company behind the software is called Custodia. I must admit, its certainly a novel way to draw attention. Would I be writing about a new software companies’ antivirus software here? Certainly not.